I shared many pictures from our Thanksgiving break on social media. If you don't already follow me on Twitter, Facebook and/ or Instagram, be sure to do so as I often share snaps from everyday life that I don't include on the blog. Today I have my annual holiday book gift guide for you. I have three beautiful and unusual books to recommend to you this year so I hope you watch my video, which shows you each of the books in-depth. to the subject of Edwin Romanzo Elmer's The Mourning Chair. This richly illustrated book has now been revised to include an entirely new chapter on Pavlova's tours to North and South America, as well as new images of Pavlova with Charlie Chaplin. Anna Pavlova: Twentieth-Century Ballerina takes a fascinating look at the iconic star whose career spanned Russia and the West in the first half of the century, showing how she became the most influential dancer of the time. 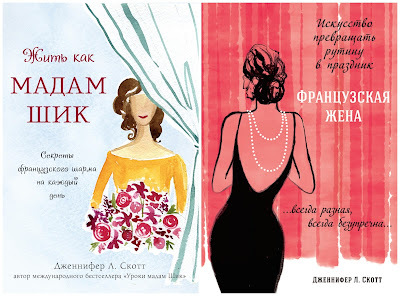 And, of course, my Madame Chic books! Pages: A Bookstore in Manhattan Beach, CA is collecting pre-orders for signed or personalized copies of the Madame Chic books (a perfect gift!). If you would like a signed or personalized copy of any of my books, be sure to give them a call at 310-318-0900 or email them at info@pagesabookstore.com The deadline to order personalized copies is this Wednesday, December 2nd. Patti from You're Never Stuck blogs about never making a fashion buy mistake again and cites inspiration from Lessons from Madame Chic. 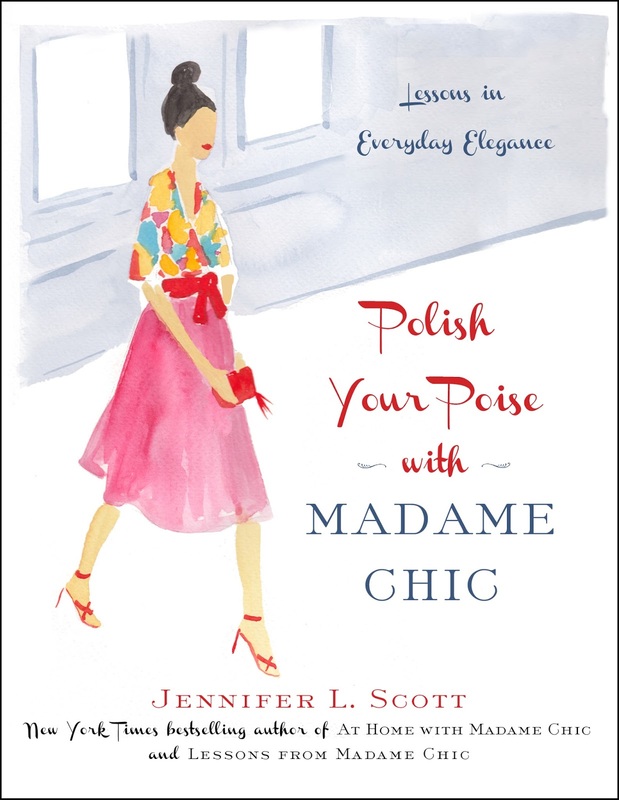 Thank you for making Polish Your Poise with Madame Chic a New York Times Bestseller at #4 in fashion, manners and customs. 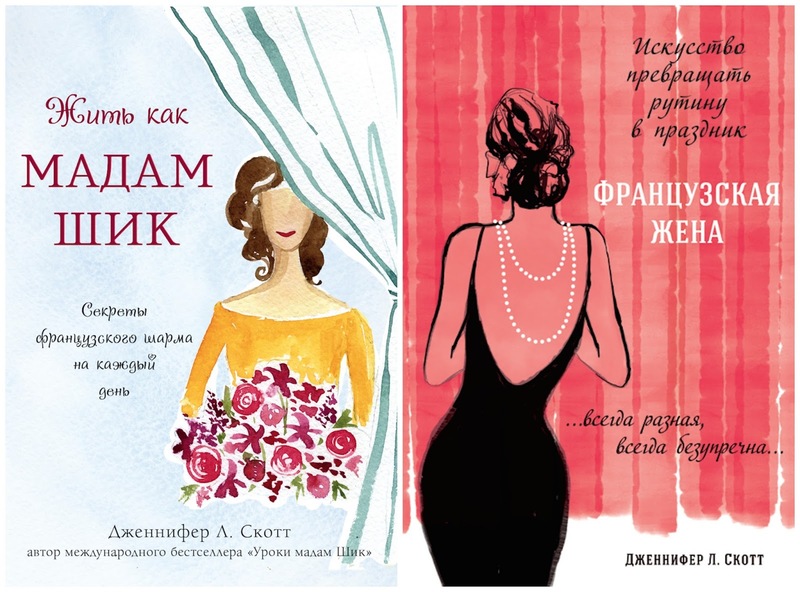 At Home With Madame Chic has been released in Russia. This book has two beautiful and different covers. Aren't they gorgeous? Blue-Hearted Bookworm recommends Polish Your Poise with Madame Chic in her November Recap. The Mama's Hip blog gives a great review of Polish Your Poise with Madame Chic. In addition to all of the great comments you will find on the blog, YouTube channel and on social media, I also receive hundreds of letters from readers. I thought you would enjoy this one from Vanessa E.
I wanted to share with you about how your influence saved me from mortifying embarrassment today. First, I must share that I have a head cold, and really not feeling my best. I rolled out of bed knowing I needed to take my kids to piano lesson. I really wanted to throw on sweats and tee, no make up, and undone hair because I told myself I'd stay in my car and no one would see me. I also almost didn't make my bed, put my dirty clothes away, or put the breakfast dishes in the dishwasher. With being sick, I just wanted to ignore everything. However, your words from your books and videos ran through my head, and I reminded myself that being put together and coming home to a neat home will help me feel a bit better. So I cleaned up, put on real clothes along with makeup and did a polished pony tail. While I was gone my neighbors called me, and told me my door was open and they had seen a strange car in my yard. The police were called, they searched my home for intruders, and then escorted us through the house to make sure nothing was amiss. Everything turned out fine so no worries there. So a day when I contemplated not making myself or my home presentable turned out to be a day that I ended up speaking with all my neighbors and the police. I will forever be thankful that I was not wearing old sweats, that I had made my bed, and picked up my dirty underclothing off my bathroom floor! So thank you because had I not thought of you I would have been mortified today. Vanessa, I just loved your story. We never know where our day will take us and it always helps to feel prepared. I'm glad your story had a happy ending! This week I would love to know... what are your thoughts on my book selections for this year? Do you have any great books to add to the list? Let me know in the comment section below. See you soon! FTC: Sunlight on the River was sent to me to review by Prestel. All opinions are my own. Happy Thanksgiving! In this week's video I show you our Thanksgiving table for this year. This video really encourages you to use whatever you have on hand to set a beautiful table. On our table this year we use my great-grandmother's beautiful china along with our everyday glasses and silverware. I have layered the table linens to create a more elegant effect, using a table cloth, a table runner and square rattan place mats. I referenced Charles Macpherson's The Butler Speaks (I love this book!) to make sure the place setting is on track and I adjusted it to fit our table. The most important thing to remember if you are hosting Thanksgiving is to make the best use of what you have. No need to go out and purchase expensive table dressings to impress. Get creative with your table and you can create a beautiful table scape. There is so much more I'd like to share with you! I hope you check out this week's video for a detailed talk-through of our Thanksgiving table. Check out my timely interview with Chico's clothing brand on their blog, Inside Chic: Madame Chic's 4 Ways to Be A Relaxed Hostess. Over 50 Feeling 40 is experimenting with the concepts in Polish Your Poise with Madame Chic by dressing well for working at home. Heather from Cedar and Bloom blogs about her daughter's ten-item wardrobe. When I was young and still in college I often would "crash" at a friends apartment when we would stay up late studying or have an exam in the morning as she lived 5 minutes from school and I lived 45 by car. As I said we were young and far from having homes with special guest rooms or fancy china, I think I usually slept on the couch. My friend however is one of those hosts who have the ability to make you feel so at home. I think the thing that I remember most is that there was always soap and a washcloth and towel setting on the bathroom counter for me and coffee set to brew with a mug out when I woke up. It was small things but she knew I liked to have a shower first thing and a cup of coffee and I got up early. It's the little things that make a host. I was more comfortable staying on her couch in her little apartment than I have been at houses with designated guest rooms and fancy linens. it goes to show that you can be a marvelous host in whatever living circumstances you have it's about making the people feel loved and being proud of your home! You are so right, Amber, it's the little things that make a host. Thanks for sharing this with us! This week I would love to know... what are your plans for Thanksgiving? What is your favorite Thanksgiving dish? How do you plan to set the table? I hope you have a wonderful Thanksgiving holiday. I will see you all next week! Before this week's post begins, I would like to thank all of the readers who helped make Polish Your Poise with Madame Chic a New York Times Bestseller! We came in at #4 on the bestseller's list for fashion manners and customs. Thank you readers. I am so grateful for your support. We are long overdue for a skin care post on The Daily Connoisseur. There are many products I've been using recently that I can highly recommend and I do so in this week's video, along with a demonstration on how to use them. In this post I share some high-end luxury products as well as some drug store finds so there should be something for everyone. Here are the skin care items I discuss in this week's video. Below, I share a link for them, along with the official description of the product as well as the official direction on how to apply (if applicable). Le Weekend de Chanel weekly renewing face care: A smooth, silky concentrate enhances skin renewal, with a combination of may rose water and a targeted, high-tolerance glycolic acid complex that is gradually released for ideal exfoliation and lasting hydration. Instantly, skin is softer and more luminous for the week ahead. Apply this to cleansed skin (use this instead of moisturizer) one a week on the weekend! It is recommended that you do not wear makeup the next day after applying it. I usually use this on a Friday or Sunday night. Kensington Apothecary Rose Oil Cleanser ** If you haven’t tried Oil Cleansing, you’re in for a delicious surprise. If you’re already hooked, this is the pure, nourishing oil blend you’ve been waiting for. Dislodges and encapsulates even the most stubborn oil and grit and sweeps away clean, so your skin's natural lipid layer can go back to doing what it was designed to do. Smooth a pumpful of oil cleanser all over your face, massaging for several minutes or until all dirt is loosened. Soak a clean organic facecloth in warm water and spread over face, gently sweeping away cleanser until all traces of grime and make-up are removed. Repeat as desired. Simple eye makeup remover and cleansing pads I love these drug store makeup removal wipes. They are handy to travel with and they remove my makeup efficiently. I've been using these for years now. Dermal- E This ultra-hydrating day crème thoroughly moisturizes and plumps to reduce the look of fine lines and wrinkles. and Dermal-C creme Scientifically advanced vitamin C cream for antioxidant protection, anti-UV photo-aging, and reduced appearance of fine wrinkles. Contains a full 5% USP-grade vitamin C that is stabilized, protected by a molecular membrane, and designed for optimum sustained release. Also contains magnesium, potassium, calcium and sodium ascorbates. Apply twice daily and experience many visible anti-aging benefits! Non-comedogenic and free of mineral oil. Eminence Calendula Oil Our Calendula Oil, loaded with alpha and beta carotenoids, will enhance your skin’s natural healing systems and infuse it with antioxidants to leave your skin looking radiant and smooth. Apply a thin layer over the entire face, or apply to affected areas 1-3 times per day, or mix 1-3 drops in your hand with your favorite moisturizer and apply. 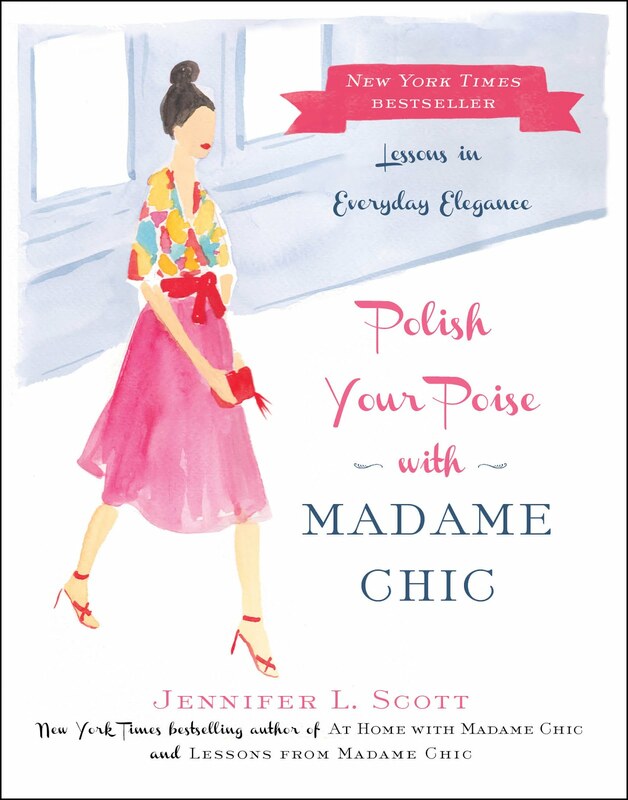 Polish Your Poise with Madame Chic is #4 on the New York Times Bestsellers list for fashion, manners and customs. Thank you readers! 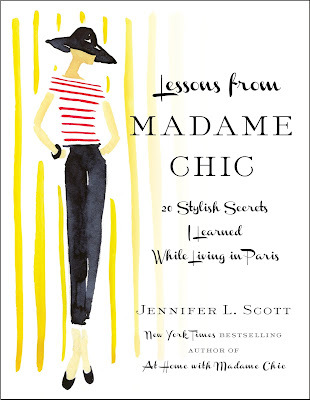 Imperfect Women writes a lovely review of Lessons from Madame Chic here. Ramsey Recommends writes a great review of Polish Your Poise with Madame Chic and shares a recent encounter that reminded her about the power of poise. Momzina says Polish Your Poise with Madame Chic is exactly what women need. A Home for Elegance writes a lovely review of Polish Your Poise with Madame Chic. Pink Julep highly recommends At Home With Madame Chic. Celebrate Magazine includes Polish Your Poise with Madame Chic in their list of books they are loving for November/ December. The element that is the biggest challenge for me is composure. I like a sense of control and order, and when that sense of order is upset I tend to lash out. I yell, give backhanded comments, think mean thoughts, slam doors, or other unseemly behavior. I have gotten better with awareness and by creating quiet time in my day to relax and regroup. Requiring myself to model appropriate behavior for my children has also helped. MT, you are not alone. Many people wrote to me saying composure was the hardest characteristic of poise to cultivate and I have to agree! But it is very satisfying to continue to try. Our children are a great motivator for this. I have read alll 3 of your books in the last couple of weeks. I think they are SO on target! You have helped me with my inner dialogue...which can get quite jumbled up and scattered during the day. Poise while looking and acting chic in a variety of situations! 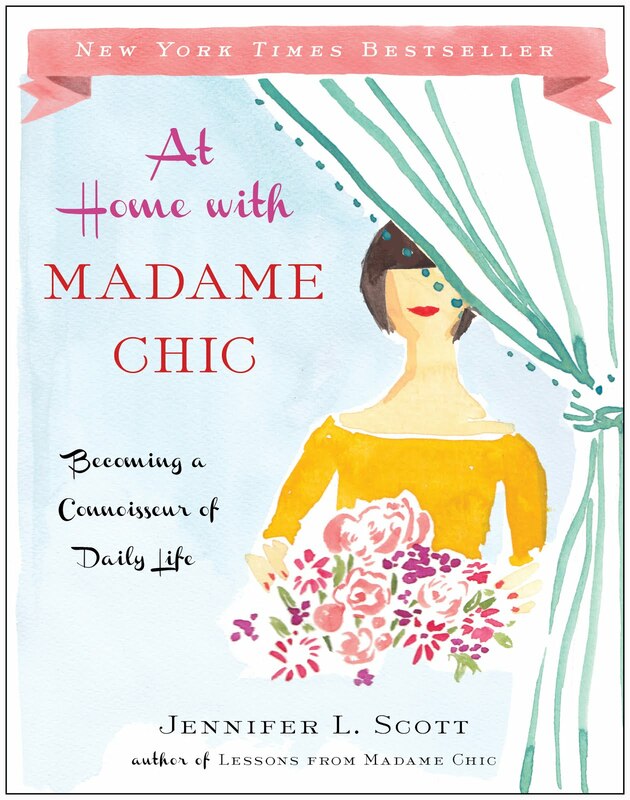 "At Home With Madame Chic" was so helpful! I make my bed EVERYDAY now. It is amazingly more simple to get dresses! Also thanks to your style secrets I now make an extra effort to smooth the hair and apply a bit of make-up EVERY day even if I am scrambling on a deadline. Coming hone to that neat kitchen and tidy bedroom makes me SO happy! Unfinished hair and no make-up and I can continue on with more confidence. Hi Gillian, I just love hearing from readers on how the Madame Chic books have impacted their lives for the better. I am very happy for you and wish you continued joy as you cultivate a beautiful life. I enjoy your books very much and can not wait to read the latest. I am wondering what your thoughts would be on this. Thank you for your question. As the hostess, you have the final say on what time your dinner will be served. Of course it is important to accommodate your guests. Many young couples, for example, try to go to both sets of parents' holiday parties. Use your discernment. If this is a family member with a valid and important reason for wanting to move the dinner back a half hour or so, you can use your discernment on whether or not this is something you'd like to do. If this, however, is someone who merely wants to hop from holiday party to holiday party, you can keep your time firm and let them know they are welcome to join you when they arrive. Jennifer, It has been fun to watch and follow your blog these years and I am working towards a chic ten item-wardrobe. I am gravitating toward dresses too these days. I have a suggestion - if you get a chance please watch "The time in between" series on Netflix. Its about a seamstress and the dresses portrayed in the series are divine . You can see the main character wearing the same dresses tailored to fit her over the episodes.All women in the series are portrayed as strong woman, chic and beautifully dressed always. Thank you for this recommendation. This series sounds lovely! This week I would love to know... what skin care recommendations do you have for us? Have you tried any of the products I reviewed? Let us know in the comment section below and you could be picked as comment of the week. **FTC Kensington Apothecary Rose Oil Cleanser is the only item that was sent to me to review. All opinions are my own. What a sad time in our world. 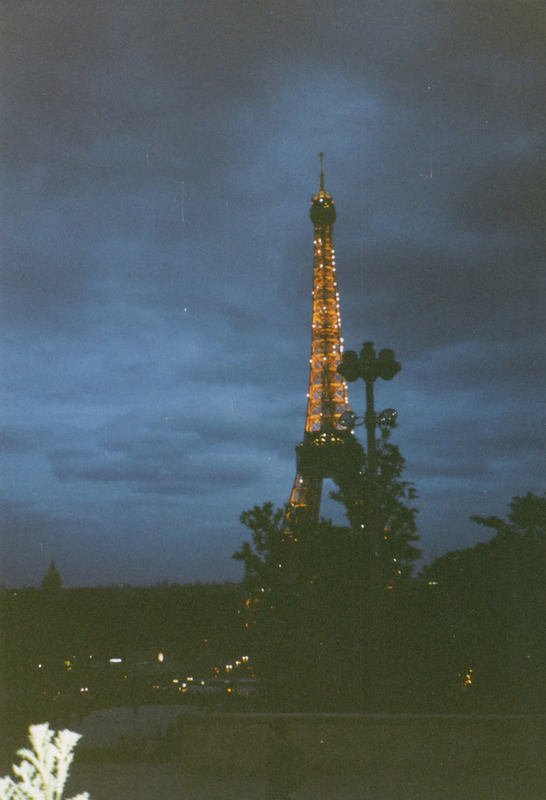 I know that, like me, many of you hold a special place in your heart for Paris. My thoughts and prayers go out to the victims of the Parisian terror attacks and their families as well as to all of us around the world who long for peace. When I lived in Paris, it was a simpler, more innocent time. I cling to those memories because today's world is rapidly changing, often in a scary and senseless direction. 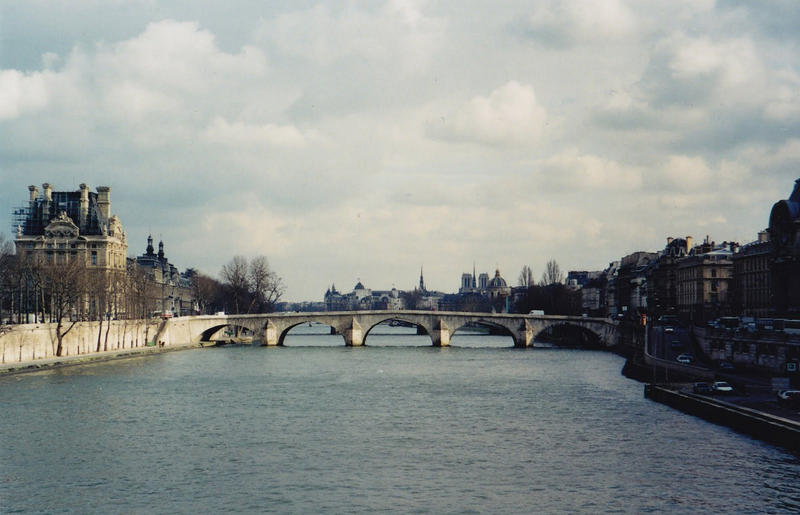 To honor the Parisians, we can all strive to live beautiful lives, even amidst the chaos of the modern world. I am so grateful for the lessons I learned while living in Paris with Madame Chic and will forever be grateful to France for shifting my perspective and helping me to see the beauty of everyday life. 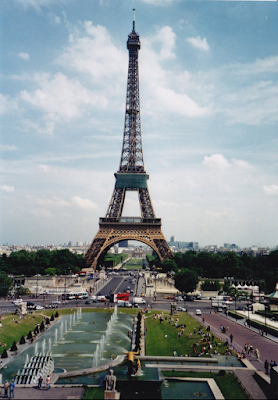 See you then, and in the meantime let's honor the Parisians by making our everyday lives a work of art. 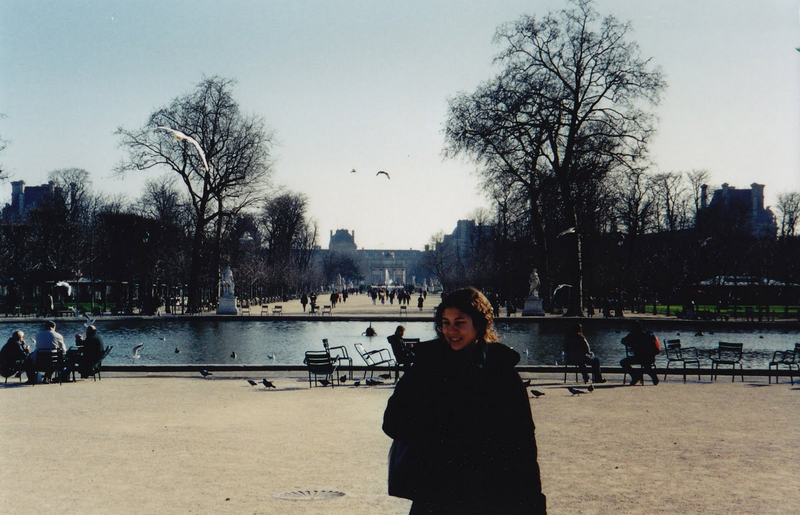 ** All pictures in this post are from when I lived in Paris, during the year 2001. Today I have a before and after video for you showing the evolution of our home office. When we moved into our new home, we decided to turn the loft space into a home office. We hired California Closets to create the built-in office and I am very pleased with the results. The wood color we chose was "Adriatic Mist", which is a taupe-grey and fits nicely with our decor. 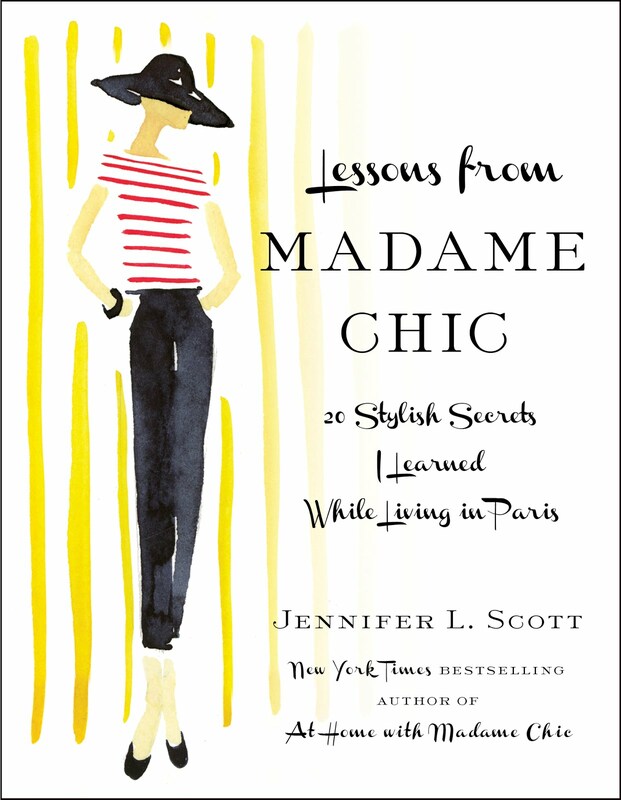 Lessons from Madame Chic is going into its 7th printing and At Home With Madame Chic is going into its 3rd printing from Simon & Schuster. Thank you readers! Polish Your Poise with Madame Chic is now available in the United Kingdom. If you are looking for a signed copy of any of the three Madame Chic books, Pages: A Bookstore in Manhattan Beach, CA has limited inventory. Be sure to give them a call at 310-318-0900 or email info@pagesabookstore.com to order. The Decorista lists Polish Your Poise with Madame Chic as one of her favorites things as well as includes it in her must-read library. Jess from Used York City shares her very favorite tip from Polish Your Poise with Madame Chic. Italiagal writes a wonderful, in-depth review of Polish Your Home with Madame Chic. 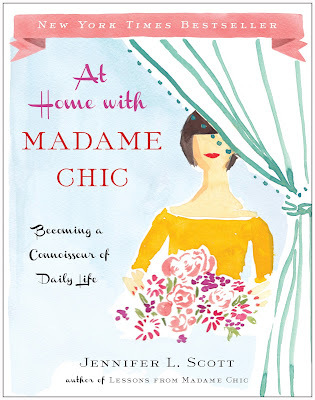 Christine from The Refined Side is unabashedly inspired by the Madame Chic books. Here's her latest review of Polish Your Poise with Madame Chic. ShimiChic has created a lovely YouTube video review of Polish Your Poise with Madame Chic. ShimiChic has a wonderful channel. Be sure to check it out and subscribe and tell her I said "hello"! Yes, maintaining composure around people who are not behaving in a poised way is very difficult because you feel tempted to lower your standards. Well done for keeping your standards high. Jennifer, your books have helped me a lot. I started my journey to a simpler life style and I fully embrace it. But I think this new book is what I really needed in terms of the quality life with my children, especially I easily lose my cool with them. Practicing poise with our children is possibly one of the best exercises we can do in this regard. We are with them so much and they love to push boundaries, giving us many opportunities to practice our poise. We won't always keep our composure but in the end, our behavior will hopefully influence them in positive ways. Today I have a really unique artistic recommendation for you: Sunlight on the River by Scott Gutterman (which comes out tomorrow, November 10th). Mr. Gutterman is the deputy director at the Neue Galerie in New York City. He has comprised a masterful collection of paintings about poems and poems about paintings. I really love this book and think it would make a great present for anyone you know who appreciates the arts. See you next week for a long-overdue skin care video. Have a great week! This week's video and post is not sponsored by California Closets. Bethany from The Glamorous Housewife snapped this photo from last week's reading. Thank you Bethany! Today we are going to discuss the 5 characteristics of poise that are listed in chapter 1 of Polish Your Poise with Madame Chic. 1. Confidence: Feeling comfortable in your own skin; a genuine self-assurance. 2. Composure: Keeping a positive perspective while maintaining calm self-possession. 3. Compassion: Thinking of others and practicing selflessness. 4. Presentation: Appropriately and stylishly dressed, with good posture. 5. Present: Poised people live passionately in the present moment. This week I would love to know, out of the 5 characteristics listed, which one do you feel you need help with the most? If you are looking for a signed copy of any of the Madame Chic books, Pages: A Bookstore in Manhattan Beach, CA has limited inventory. Be sure to give them a call at 310-318-0900 or email info@pagesabookstore.com to order. Some time ago I had an appointment with a business woman who I felt was very attractive although she was far from pretty. I've thought of her several times since and realize her true beauty was found in the professional way she conducted herself, the courteous way she treated me, her sincere smile, and her impeccable grooming. I think what she had was poise. 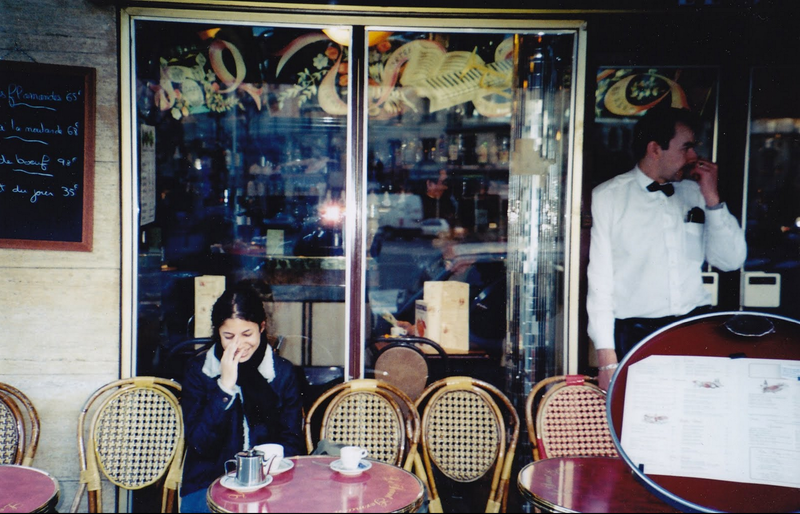 It's funny that she made such an impression on me that when I first heard about your book I thought of her. Hello Miss Dorothy, what a great story. I bet the business woman had no idea the great impression she left on you after so many years. It's amazing how our poise can affect people in mysterious ways. I stumbled upon this book in Barnes & Noble and purchased it immediately after reading the title alone. In just 24 hours I’m already almost finished and looking to read the others. I’m so inspired and found myself making conscious efforts to change so that I can be a woman of great poise, femininity, and grace. So much wisdom and great information. Thank you for walking in your purpose. I wish you the greatest of successes and hope to cross paths one day. Welcome to The Daily Connoisseur community, Kierralanice! My copy arrived yesterday, and one of the things that most excites me from what I've read so far is regarding wardrobe. After reading your first two books at the beginning of the year, I did implement a capsule wardrobe, but not with high-quality pieces that I truly loved. My reason was that I didn't want to invest in such clothing until my body was back to "normal" (I've had three babies in four years, and it SHOWS! LOL). I've just worn "what fits," and many days, I feel frumpy because of it. But my eyes lit up when I read your suggestion to buy the beautiful, high-quality clothes in my current size, and then have them tailored as I slim down! (Honestly, why didn't I think of that?) I'm so eager to start purposefully shopping! Thank you! Hi Jesse, I'm so happy you feel inspired to work with what you have in this present moment. You will see wonderful changes happen in your life. Let us know how it goes! Another lovely video. I thought your tone was polite, as always. I think the word "judgmental" is bandied about quite a lot these days, often in a pejorative way describing anyone who tries to uphold a standard or defend tradition. Of course, any commentary is judgmental, by definition. Anything involving judges is judgmental - our court system, the Olympics, and contests of any kind. What is so wrong with using our judgment, anyway? My mother always taught me to "use good judgment." Didn't everyone's? Very well stated, Texas Lady. We all use judgement every day of our lives whether we like to admit it or not and using good judgment is something that our mothers taught us from a very early age. The irony with many who decry that someone is judgmental, is that they themselves are also judging. I loved reading these memories of your grandmother, Shannon. She sounded like a lovely lady. I am sure many of us have similar stories regarding our grandmothers, who lived in a more gracious time. Jennifer, thank you so much for your newest book! It is so inspiring and encouraging, and also offers so much practical advice. I enjoy the sections where you recommend certain films, television shows and books as exemplifying poise and, if I may, I would like to add a recommendation. "When Queens Ride By", by Agnes Turnbull, is a short work of fiction written in 1926. It is available for Kindle on Amazon for a nominal fee. It is an inspiring story of a woman who transforms from being depressed and living in squalor into someone poised and contented - and all because of a stranger's fortuitous visit. I think some of your readers might enjoy it. 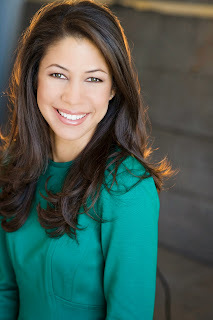 Jennifer, I am so glad I discovered you, your blog, and your books - you have made a difference in my life! Miss Betsy, upon your recommendation I am already reading When Queen's Ride By on my kindle and am truly enjoying it. Thank you! See you next week when I give you a tour of our home office. Have a wonderful week!